The ocean off Cape Recife churns white, specially at low tide, as the waves hit Thunderbolt Reef. This notorious reef has claimed numerous ships over the years and was named after the HMS Thunderbolt which struck this massive reef in 1847. The Cape Recife Lighthouse was built in 1851 to warn ships of the eminent danger but even with it's presence close by ships accidents have still happened. But its not all bad news. The area around the reef is a very popular dive as well as fishing spot. 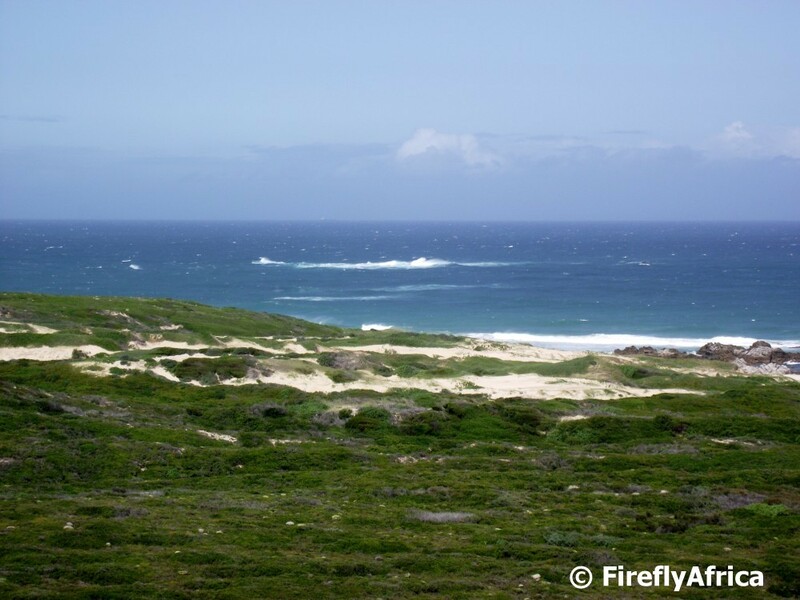 The picture was taken from the World War II observation post inside the Cape Recife Nature Reserve. The waves are pretty to look at, from shore. It does look kind of rough!